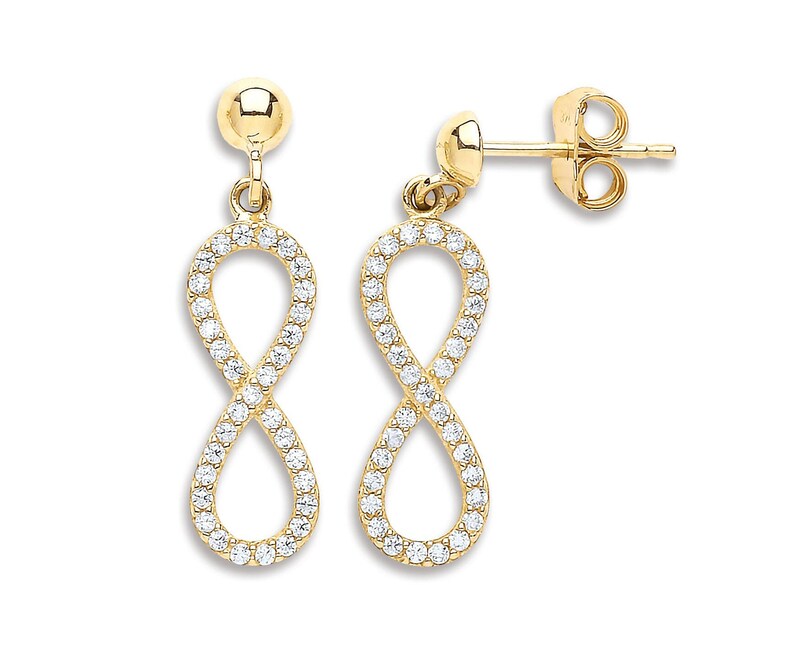 A modern pair of twisted infinity drop earrings pave set with cubic zirconia stones. Crafted in 9 carat gold with post and butterfly fitting. Average gold weight per pair 1.9g, size 2cm drop.